Guwahati: Noted anthropologist AC Bhagabati, who has been conferred on Tagore National Fellowship for cultural research, stressed the importance of traditional perceptions of land records to find out causes of ethnic clashes. He also said that studying history helps understand modern problem better. “There is a mismatch of data between modern tools of demography and traditional perceptions of land records. In Bodo people’s perception it has been tribal land, but now we say it is not their land. So, the problem lies there. One has to look at the records to see to what extent the Bodos or the other people are right. Only records can tell that,” said the former professor of Anthropology at Gauhati and Dibrugarh University. He also said that modern tools like census to find out the demography may not always solve such problems. “If we go back to 1945 or 1960 we will know whether land alienation by whatever means has taken place. That’s how history helps understand an even modern problem. But what we are doing is that using the demography of today to counter a historical question,” Bhagabati added. 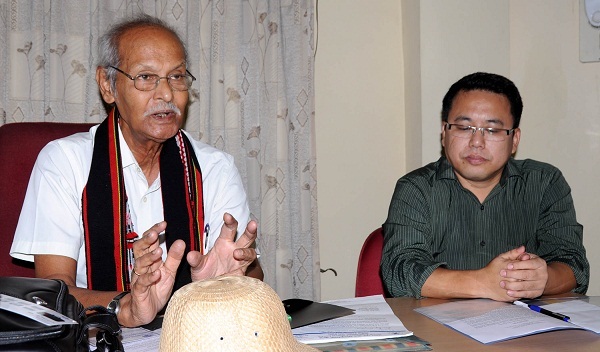 The veteran anthropologist was felicitated by the North East Zone Cultural Centre (NEZCC) for receiving the prestigious Tagore National Fellowship of Cultural Research. The objective of the scheme, which was introduced by the Union ministry of culture in 2009, is to invigorate and revitalise various cultural institutions which have vast treasures in the form of manuscripts, documents, artefacts, antiquities and paintings. The purpose is to encourage serious researches in the cultural resources of these institutions. Schemes like this would encourage research, scholarship and analysis of the objects that are not usually available for public viewing or use. Museums, for instance, can hardly display more than a small percentage of their entire holdings. “We are happy to announce that Dr AC Bhagabati has been awarded by the ministry of culture the Tagore National Fellowship for Cultural research to pursue his research at NEZCC. He is the only scholar from the region to have won this fellowship,” said NEZCC director Som Kamei.